While some students only paid a few dollars, others were hit with potentially hundreds of dollars in fees. 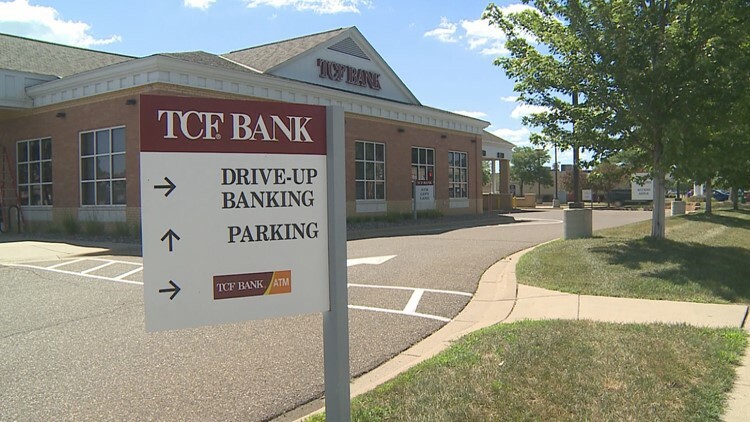 MINNEAPOLIS — TCF Bank made more than $620,000 in card fees from University of Minnesota students on the Twin Cities and Duluth campuses last school year, according to a consumer advocacy group's report. The U.S. Public Interest Research Group released a study last week that found 44 percent of the university's students have TCF bank accounts, Minnesota Daily reported. University of Minnesota students pay an average of $22 annually in the bank's fees, including charges for inactive accounts, said Kaitlyn Vitez, the group's higher education campaign director. While some students only paid a few dollars, others were hit with potentially hundreds of dollars in fees, Vitez explained. She said there are other banks available to students that don't carry ATM or overdraft fees. "These fees are not in students' best interests. Especially when we know that there's lower fee options available for students," Vitez said. TCF Financial Corp. in a statement to The Associated Press said all fees are "clearly disclosed" at the time an account is opened. The company said it also offers a free online educational program about personal finance that includes a course on overdraft fees. TCF also said it offers an account summary modeled after the Pew Charitable Trust's simplified form on account terms and fees, "widely regarded as the gold standard." The University of Minnesota entered into a paid marketing agreement with the bank in 2003. The agreement also allowed the national bank rights to open banking locations and install ATMs on campus. TCF said there are no fees for withdrawals at its ATMs, and that it waives its ATM fees for student accounts for up to 4 withdrawals per statement cycle at non-TCF Bank ATMs. The debit cards are marketed to students as a "simple, easy" option, and they can be linked to university payment cards or used to deposit financial aid. TCF paid the school $1.6 million in its latest contract, including $200,000 specifically set aside for marketing, according to the recent report. The university also receives $37 in royalty payments for each student who opens a bank account with TCF. The advocacy group found that students at schools with paid marketing agreements pay over two times more in bank fees than students at schools without such agreements. The University of Minnesota is the only college that still has a paid partnership with TCF Bank. The University of Michigan mutually ended a similar partnership with the bank in 2015.